New iPads with better battery life incoming? Two versions of the Apple iPad 3 are set to be released in the early part of 2012, with Apple looking to create a line-up of tablets which caters for all budgets and has double the battery power of its predecessor. This is according to Digitimes, which reckons its got a source in one of Apple's supply chains who has it on good authority that two new models will be made available – one aimed at the mid, the other the high range – and that the new iPad release date will be 26 January, the date of the iWorld/Macworld conference. There's been much rumour and speculation about new screen sizes for the iPad but the latest hint is that the screen size will stay the same but the resolution will be upped. Check our iPad 3: What We Want To See video. It's really rather nice. If rumours are correct, then we will get a 9.7-inch screen but it will come with QXGA resolution, which is a mighty 1,536 x 2,048 pixels. To make the screen brighter, there's every chance that Apple will be using dual LED bar technology in the iPad. Although Digitimes rumours have to be taken with a slight pinch of salt, this is the second time that the dual LED bar tech has been talked about, so this may well have legs. Other features for the new iPads include A6 processors, two cameras (a 5 and 8 pixel variant) and that supercharged battery, which will be as high as 14,000mAh. At the moment the iPad manages a mere 6,500mAH, so this would significantly up gaming and movie watching times on the device. Given that Apple pulled out of the Macworld conference a few years back, we don't think that there is much chance that we will see two or even one iPad released at the show. 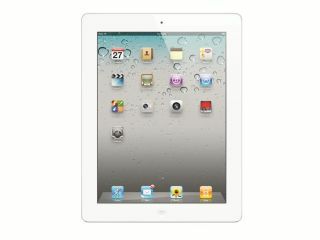 It is likely, however, that the iPad will be released in the early part of 2012. As for two new versions of the iPad – this does make sense, but only if Apple is looking to take Amazon on at its own game and offer a budget-friendly tablet and then make its money back from apps and other media. It's worked for the Kindle Fire so far, so why not the iPad?